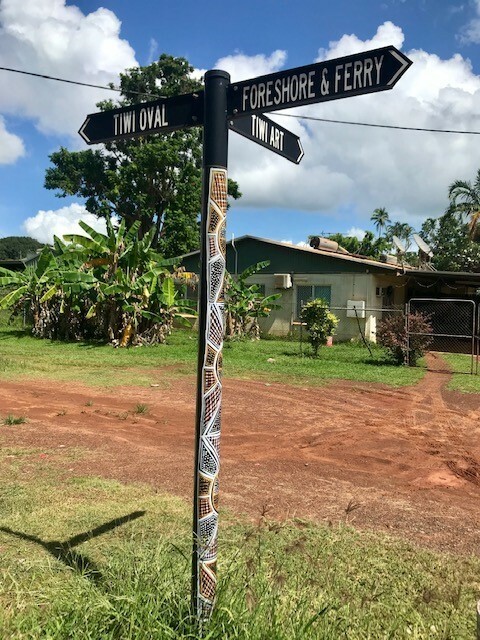 The Annual Tiwi Islands Art Sale and Football Grand Final was held on Sunday 17th March and SeaLink ferries were fully booked with avid art & footy lovers. A fantastic day was had by all, blue skies and sun greeted us as we disembarked from the ferry on our first drop off of the day at 8:30am. All the art goers were certainly spoiled for choice, with art centres from neighboring Melville Island bringing their wares to Bathurst Island. Tiwi Design and Ngaruwannajirri (Keeping Place) were busy with art lovers in a shopping frenzy. Munupi Arts and Jilamara Arts from Melville island exhibited in the school hall and were buzzing with plenty of people making purchases. The Patakijiyali Museum and Frangipani cafe were also very popular. The local primary school Under 12's kicked off at 11:00am, followed by Lilydale Under 18's who had made their way up from Melbourne to partake in the footy fever on the day - a great experience for them that they will talk about for years to come. The Tiwi Ladies entertained us with their traditional songs and dances, followed by the teams coming out onto the field for the "No More" campaign linking of arms. 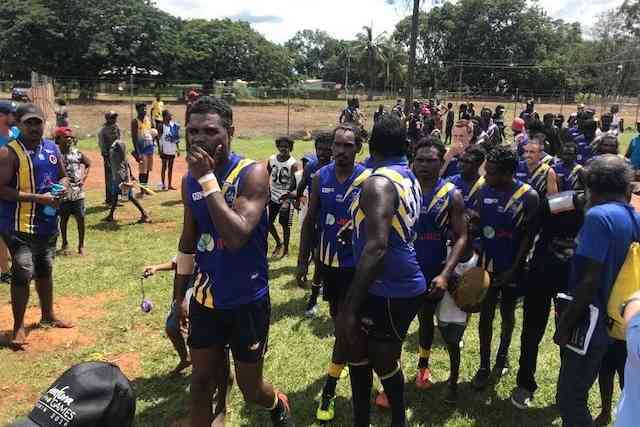 The main event kick off was at 2:30pm when the Ranku Eagles and Tapalinga Superstars took to the field in a nail biting match, that had everyone on their toes cheering and barracking both teams on. 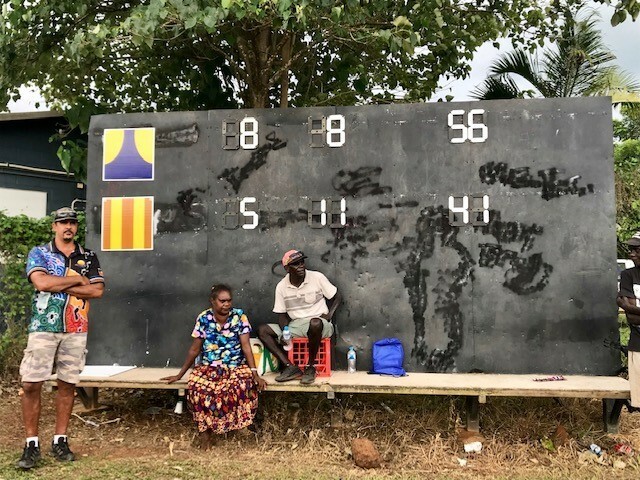 Join our watchlist to be first to receive information for the 2020 Grand Final and Art Sale, the 50th year of the Tiwi Island Football League!